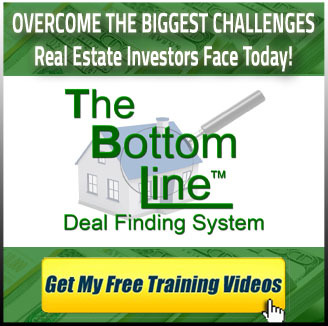 One of my most popular sayings in real estate investing is “the bottom line is the bottom line” (Hence, the name of my favorite tool found here. So, if the cost of hard money has been accounted for in your deal, then hard money is an excellent resource for cash that does not need you to have good credit. The important take-away from this article is this… DON’T LET LACK OF PERSONAL FUNDS KEEP YOU FROM MAKING MONEY IN REAL ESTATE TODAY. Your lack of knowledge and experience may be a valid reason, but lack of funds is not. To gain knowledge on how to do deals, making money without using ANY of your own money to buy, I want to invite you to apply for my personal training and mentoring program HERE. Hard money loans are collateral-based real estate loans made by private investors instead of banks. These loans fill a need for funding when banks won’t lend for any reason… there are credit problems, or there isn’t time to obtain conventional financing to secure a purchase or get cash from the equity in a property. These types of loans are referred by different names such as hard money loans, private money loans, private equity loans, or bridge loans. Hard Money” loans or “equity loans” as they are sometimes called refer to non-conventional real estate loans. They are usually funded by private money sources and investors, (not banks), pension funds, etc. Interest rates and points on such loans are usually much higher. Terms can range from 3 to 60 months and percentage rate varies greatly. Hard Money loans have one basic requirement. There has to be some substantial equity in the property to give the lender a reason to invest their funds in an otherwise risky venture. Hard Money is generally used as a bridge: a way to get from point A to point B. It is generally a short to medium term solution (1-6 years), and there is nearly always an exit strategy going in. Note: The amount of required equity for hard money loans varies by the hard money lender, property type and investor. You have non-verifiable, inconsistent, or unusual income — provided you can make the loan payment, our hard money lenders will accept loans made to persons who have unconventional incomes. If you have no income or means of repaying the loan, you will not qualify for a hard money loan, period. The property is in the name of a “non-natural person” — your property is held in the name of a trust, LLC, corporation, or an entity — rather than an individual. What are the interest rates, points and fees? Fees: processing, underwriting, title insurance, escrow, doc prep, recording, wire transfer, title messenger, survey, and other fees also apply when applicable. Appraisal fee, where required, is prepaid by borrower C.O.D. at the time of service. Sometimes, if there is enough equity in the project. This is frequently the case. Some come with no prepayment penalties while others have a minimum interest clause. With a 3 month minimum interest clause, for instance, it means that if a borrower repays a loan in 3 months or more, there is no penalty. If the borrower repays the loan, for example in 2 months, then the borrower will have to pay an extra month’s interest out of escrow at closing. How fast can hard money loans close? Most hard money lenders require them. Some individual lenders may go off of comps. How do I go about doing a hard money loan? 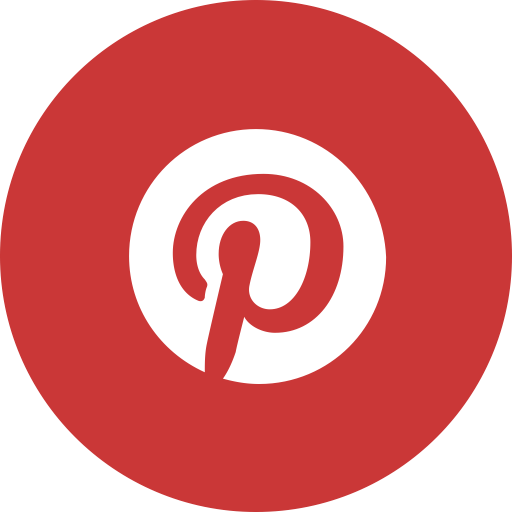 Find and interview potential resources. You will need to ask for referrals from others in the business, do an online search OR Advertise for it. Feel free to contact me here if you are looking for a hard money lender. I am happy to share a referral if I have one. My Coaching and Training offers resources and scripts for hard money lenders in many states. When you find a deal is accepted by a seller (signed purchase agreement) , run your deal by a couple of those hard money lenders you had talked to, to get written quotes and terms. Be prepared to email a loan packet. This might include comps, photos, copy of contract for property. If the property checks out to have equity required by lender, the loan is closed through escrow. What needs to be included in a hard money loan package? A private money loan packet is generally fairly straightforward and varies by lender. HMLs are property based; they do not look to the creditworthiness of the borrower. The security for the loan is the property not the person…just the opposite of conventional lenders (e.g. banks). HMLs interest rates usually range between 12-18 %/yr w/interest payments only. They charge 3 to 10 points per loan. 1 point is 1% of the loan amount. In wholesale markets, HMLs loan 50 – 60% of AIS (As It Sits). In retail markets, HMLs loan 60 – 75% of AIS. If you intend to rehab, some HMLs will lend on ARV (After Repair Value). Call date: ranges from 6 mos. to 3 yrs., and the loan is always called upon sale of the property. REMEMBER: It’s not the cost of capital that’s important when there’s a good deal out there; it’s the availability and speed with which you can get the money to seize the opportunity. Requires no qualifying and no credit check regarding the borrower. Requires no tax returns or financial statements. Requires no seasoning; the loan will be based upon the appraisal made by the HML’s appraiser, which you pay for. The HML can escrow money designated for rehab/repairs. HMLs will appraise in its AS IT SITS condition; then appraise it in it’s projected AFTER REPAIR VALUE, and will calculate its loan to value on the ARV. Ex) AIS value $100,000; ARV $140,000; assuming a LTV of 70%, the HML will lend $98,000 (.7 x $140K). Title work in progress. They’ll want to see a preliminary title report if in California. Mortgage Brokers – Ask them if they have any non-conforming, high interest, non-qualifying investor type loans where the only lending criteria is the value collateral (collateral with an “equity cushion”, i. e. the difference between the ARV and liens). 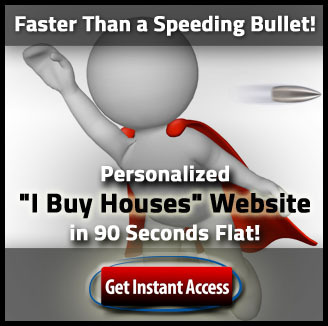 -Earn 15% on your $ in well secured local real estate projects. -If you’re not making at least 15% with IRA, we need to talk. 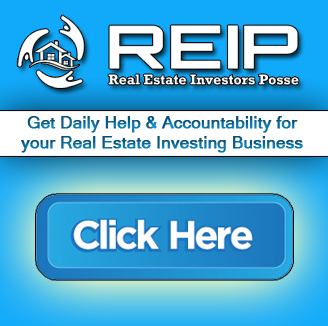 -Money needed to fund local real estate investments. -I find, you fund, we flip and split profits. -Real Estate investor looking for money investor. NOTE. Be careful – Running ads in the paper to raise money for investing purposes can also raise SEC issues. 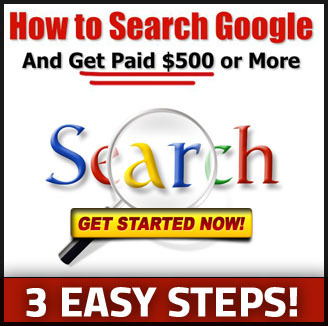 You will probably want to place an ad for the sole purpose of looking for cash to borrow. Advertising to get investors could raise a red flag. I am not an attorney. Please check with your own attorney for laws on this. Finally – there are many ways to do real estate with little or no money down. Hard money is just one way to lower the need for your own ‘out of pocket’ cash and give you the ability to make money in real estate starting today. Watch for Future Articles on TRANSACTIONAL FUNDING, NO-MONEY DOWN DEALS and HOW TO FUND YOUR DOWN PAYMENT. Good article except most hard money lenders today are behaving like bankers. They will only lend to 65%, want all kinds of documents, and basing lending on credit. Hi Ron, Though documentation is required, approval is NOT based on credit and nor should credit be ran. Hard money has always required 20 to 35% down depending on the lender. Hard money is based on the asset NOT credit. Or what would be the point? I use hard money regularly as I like to recycle my money for new deals from properties.